A stacker is the the most economical option to transport multiple kayaks. 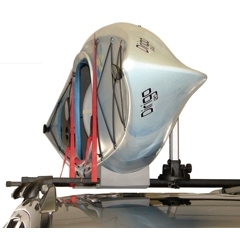 The Malone Stax Pro, with Foam Blocks, Bow and Stern Lines, is the perfect solution for safely transporting one kayak or more a factory installed luggage rack, round bars or square bars, oval bars and many aftermarket load bars. This package combines the latest technology in vertical fold-down carrier design with our new foam stacker blocks. Comes with all hardware, straps, safety tie-downs and foam blocks to carry one kayak. Carry one more kayaks with the Malone Kayak Stacker Blocks Kit. You might be able to load 1 to 4 kayaks per car with extra kits! Features: Strongest and most stable folding stacker available in the market with aluminum octagon shaped posts. The StaxPro 2 comes with 2 foam Stacker Blocks to hold 1 kayak in place during loading and tie down and cushion from the cross bar during transport. Folds down for better aerodynamics and low clearance when not in use. Universal Fit JAWZ Mounting Hardware works with round, square and most factory oval cross bars. Can assemble or transfer to another vehicle in minutes with No Tools Required. Totally rust resistant for years of service. 12 foot cam style H.D. polypropylene load straps. 12 foot Bow and Stern safety tie-downs. 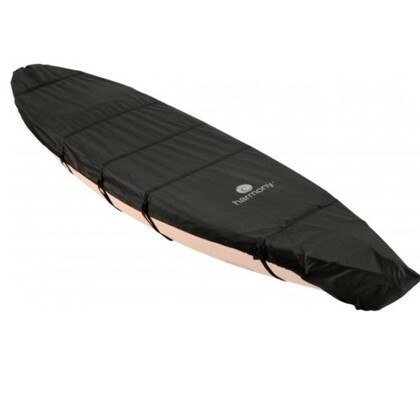 Specifications: Capacity: 70 to 80 lb kayaks, 32 in. wide kayaks. Dimensions: 5 (length) x 5 (width) x 20 (height) inches. Frame: Aluminum and Nylon.